Simplistic snacks are the way to go when you’re looking for something that is easy to feed a crowd. Seasoned mixed nuts are especially perfect for occasions like sports parties and other gatherings. We’re talking about an easy food that pairs excellently with beer or mixed drinks. There are dozens of appetizer recipes that would be perfect for a party, or just snacking on the couch on a lazy weekend. Some other recipes that we love any day of the week are: Fried Zucchini Sticks, Easy Fried Mozzarella Sticks, Paprika Potato Wedges or even Fried Green Beans. 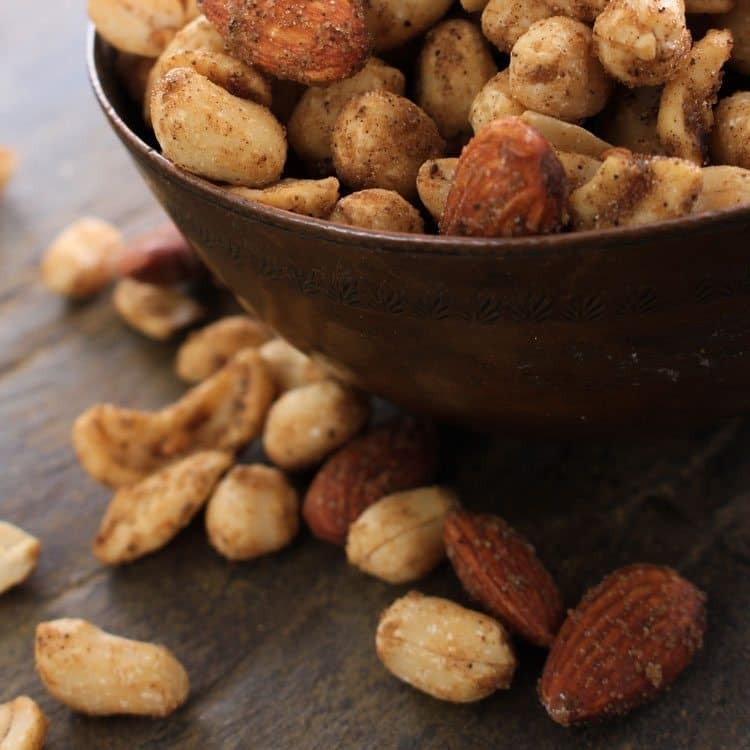 We love how easy these nuts are to make. And that they are full of spicy spices. Because food that makes you savor a medley of flavors makes you think. And thinking about the food we eat…thinking about the flavors that all come together in a perfect concoction–well, that’s kind of what we love about being a foodie. 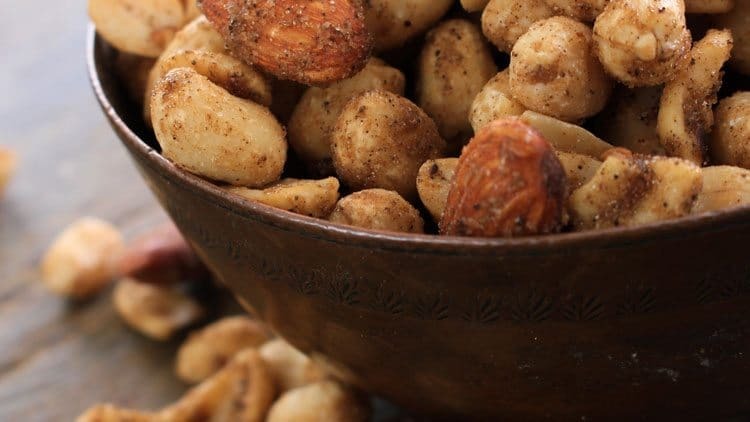 These sweet and savory mixed nuts are sure to be a hit at your next holiday party. They’re also perfect for when you need a thoughtful last-minute hostess gift as you make your rounds this holiday season. Preheat oven to 350 degrees. Line a rimmed baking sheet with parchment paper and set aside. In a large bowl, combine all ingredients and toss until nuts are completely coated and all seasonings are evenly distributed. Spread nuts onto lined baking sheet into a single layer. Bake for 8 – 10 minutes before stirring nuts to ensure they are evenly toasting. Continue baking for another 8 – 10 minutes or until nuts are a nice golden brown. Watch closely in final minutes, however, to ensure the nuts do not overcook. Remove from oven and sprinkle with additional sea salt or other seasonings, if desired. Serve immediately or store in an airtight container once cooled.